Home > Tours > Tokyo > See a real local fish market up close and personal in Kita-Senju! See a real local fish market up close and personal in Kita-Senju! Escape from Tokyo’s commercial and touristy places and get in touch with old-time, nostalgic Tokyo! Join us for a walking tour around Kita-Senju and Shibamata, in the northeastern area of ​​Tokyo, where the atmosphere of old-town Tokyo is still going strong! After meeting at Senjuohashi Station, this tour will visit Adachi Fish Market. Tokyo’s Tsukiji Market is of course very famous, but Adachi Fish Market, the only specialized marine products market in Tokyo, will not be crowded with tourists, and you can enjoy fresh seafood and the atmosphere of a vibrant market. And unlike the somewhat jaded and overburdened feeling at Tsukiji, the wholesalers who work at Senju market are very friendly. Please do not hesitate to talk to them! After building up an appetite at the market, we’ll head to the on-site cafeteria and enjoy some fresh and tasty local seafood. Shibamata, our next destination, is a quick fifteen-minute train ride from Senjuohashi Station. Shibamata is a beautiful old-style town located on the banks of the Edogawa River in this northeastern part of Tokyo. Here you can immerse yourself in the pleasurable vibes of old Tokyo. For Japanese people, Shibamata is also the fictional home of “Mr. Tora” from the fictional "Otoko wa Tsuraiyo” movie series. We’ll walk by Mr. Tora's bronze statue just outside Shibamata Station, then head towards Shibamata Taishakuten, a grand temple that is the local home of a famous Hindu deity. 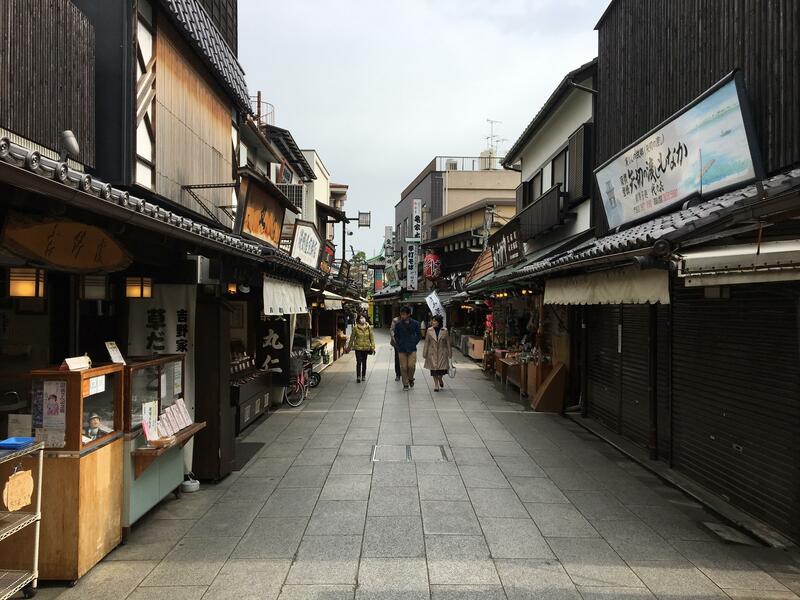 Along the approximately 200 meters from Shibamata Station to Shibamata Taishakuten, we’ll get to explore a remarkably old-fashioned main street, with Japanese sweets shops, buckwheat noodle shops, all crammed together in a bustle like no other. There are also river fish restaurants with specialties such as eel and carp, and so much more. To say it is a lively street would not do it justice, but it is not so in the Asakusa or Shinjuku sense. Here you can enjoy the bustle at a more human scale and still feel calm. At the end of the shopping and dining stretch, we’ll finally arrive at the Buddhist shrine, "Shibamata Taishakuten." 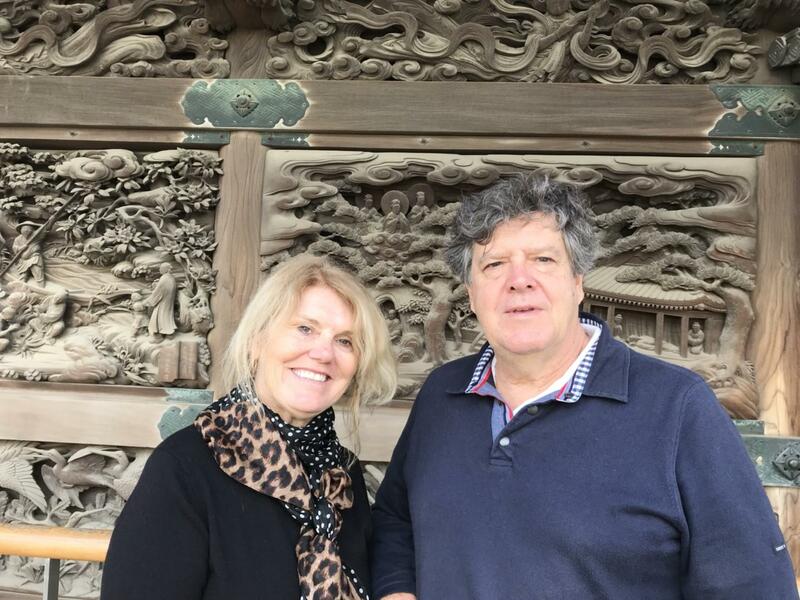 Amazing wood carved sculptures, covering the Lotus Sutra story, are tightly installed all around the main hall, and there is a stunning garden of ikebana (the Japanese art of flower arranging). The intricate, precise, and lively sculptures are wonderful works of art that are time immemorial. Next we visit Yamamoto-tei, a two-story building in a combined style of Japanese and Western architecture, incorporating Western architectural elements into a tasteful shrine. The “Nagayamon” has an especially unique Western shape and style, and it is well worth seeking out. In the Japanese garden, there is the typical "Shogun Garden" design that uses a waterfall near the edge of the fence, with a dense green planting and a hill to make the waterfall look even more impressive and lush. The United States based Japanese garden specialty magazine "Sukiya Living" ranked this garden third best in Japan in its 2016 survey. This speaks to the very high reputation overseas as well. At the end of the tour, you climb the bank of the Edogawa that flows behind Yamamoto-tei, and from there you will see the distant Tokyo Sky Tree and the contrast of the new and old Tokyo, like a time warm linking the modern day to the 17th century style Edo style you have been walking around. Enjoy a real old town Tokyo experience that you simply cannot get a true taste of in the busier, central parts of Tokyo! ・Some changes can be made to the itinerary based on your wishes. ・Yamamoto-tei is closed on the third Tuesday of the month (except when that day is a public holiday, in which cases it is closed the next non-holiday weekday) and also the third Tuesday, Wednesday, and Thursday of December. 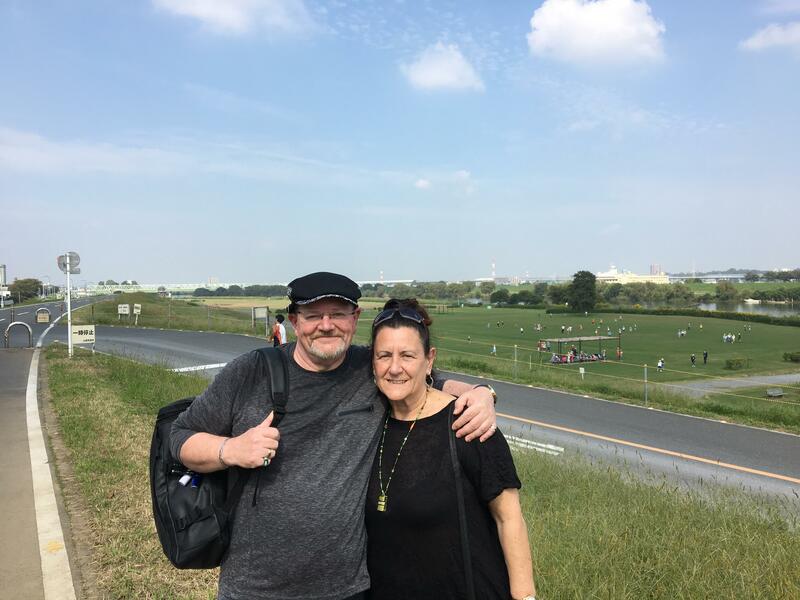 This is a great tour to soak in some local flavours, but not share it with 7 million other tourists - the people at the fishmarket are very friendly and you will join Japanese visitors on their pilgrimage to Tora-san territory. Tour guide Sumiko was great too! Suniko als Führerin war einfach klasse. Der Adachi Fischmarkt ist super, da die Fischhändler anders als auf dem Tsujiki Markt sehr freundlich und jederzeit zu einer Unterhaltung bereit sind.Auch hier werden große Tunfische gehandelt und zersägt.Angeschlossen ist ein Obst und Gemüsemarkt. Keine ausländischen Touristen. Mit Sumiko waren wir im Cafe für die Marktarbeiter Rühreier frühstücken. Sehr autentisch. Der Besuch im Tempel mit den Holzschnitzereien war überwältigend. 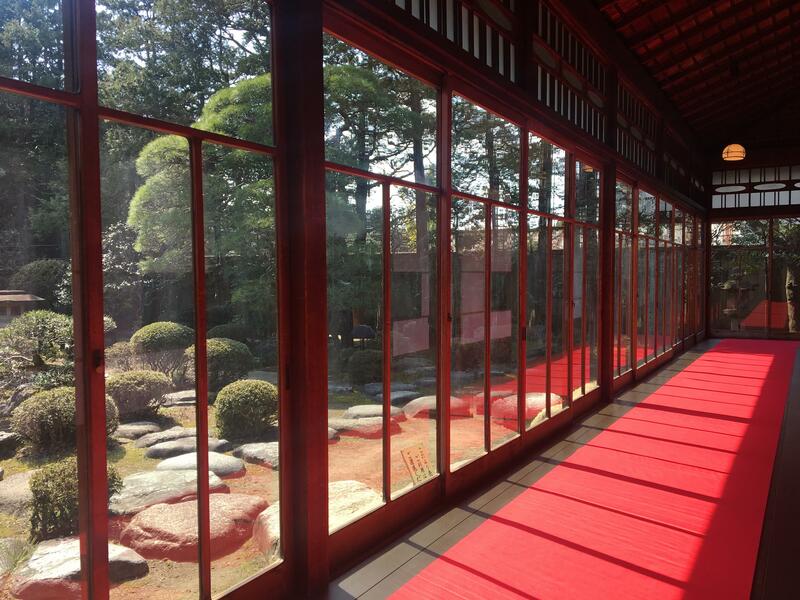 Unverständlich dass er in kaum einem Reiseführer erwähnt wird,dda auch der Landschaftsgarten beeindruckend ist genauso wie das ehemalige Privathaus in japabnischem und europäischen Stil aus den 20 er Jahren des letzten Jahrhunderts.Vor der Tour Foto der Führerin, Besuchsprogramm und Foto des Treffpunkts an der JR station per Mail erhalten. Das war meine interessanteste und beste Tour in Tokyo mit Sumiko als Führerin.Auf dem Adachi Ffischmarkt sind die Händler und Verkäufer sehr freundlich und jederzeit zu einem Gespräch bereit (anders als auf dem Tsukiji Fischmarkt). Auch hier werden große Tunfische zersägt .Das Frühstück mit Rühreiern im Restaurant für die Marktarbeiter war klasse. Der Besuch des Tempels mit den Holzschnitzereien herausragend. Völlig unverständlich dass er in kaum einem Reiseführer erwähnt wird. Auch der Landschaftsgarten und das ehemalige Privarthaus in japanischem und westlichem Stil aus den 20er Jahren des letzten Jahrhunderts äußerst sehenswert.Sumiko war sehr nett und freundlich und hat alle meine Fragen kompetent beantwortet. Yoshi lead us on an amazing tour to several historic and interesting places in Shibamata Tokyo. The Adachi Fish markets were an eye opener with the array of different sea creatures and especially the tuna! We then went for morning tea in a traditional cafe with great tea and toast. Lovely and warm in the cool weather. Yoshi then explained the temple nearby and how everything in nature is so important. We then visited a historic temple with beautiful carvings and interesting history - Shibamata Taishakuten and a lovely garden. We then saw the streets of Taishakuten - Sando. Then we visited Yamamoto-tei, an original house for the well off Japanese family and now in the form of a museum. Our family of 6 very much enjoyed Yoshi's tour and explanations relating to all we saw. Gids mana wachtte ons op bij het treinstation dichtbij Adachi-Ku vismarkt. Genoten tussen de vers aangevoerde vis. Japanse groothandelsmarkt zonder toeristen. Super sfeervol. Mooie foto’s gemaakt. Daarna naar Shibamata tempel bezocht (boeddhistisch) en woonhuis rijke cameraonderdelen industrieel uit twintiger jaren vorige eeuw. Rivier gezien die door Tokio stroomt en zoetige rijstballen gegeten in theehuisme met gids. Gids goed geïnformeerd en voorkomend. Tour was geboekt via tripadvisor viator. A great walking tour covering not only the fish markets but also many varied & interesting sights including the old style Tokyo town. Our guide Tashiro Sumiko was very helpful, informative & good fun to spend the morning with. This walking tour is a great way to see many parts of the city & culture.